Hollywood celebrities may not be known first and foremost for their great intelligence, but that does not mean that there are many Hollywood stars that don’t possess a high IQ. In fact, many may be surprised to discover that there are several stars who not only have attended the top rated universities in the country, but some are even members of Mensa as well. Let’s take a look at some of the smartest of the crop! James Franco’s IQ has been reported to be 130 and it’s easy to see why: he’s addicted to higher education. While James was filming “Spiderman 3” he re-enrolled at UCLA to complete his English Major and received special permission to take on 62 credits per term, three times more than normal. Filming movies and taking a whole ton of college classes at the same time? That’s a lot of impressive multi-tasking from Franco. James moved to New York for graduate school where he simultaneously attended Columbia University, New York University, and Brooklyn College! After achieving his Masters in Fine Arts from Columbia in 2010, James moved on to Yale for his PhD studies in English. In 2011 James wanted to pass some of his knowledge on to others, and he would go on to teach a poetry class to film students at one of his alma maters, NYU. Like a lot of really smart and funny comedians, Steve has been known to poke fun at his own intelligence. Many believe that the actor is a proud member of Mensa (we were fooled as well) and Mr. Martin has turned to twitter to try and debunk the rumors that he is a member of Mensa. 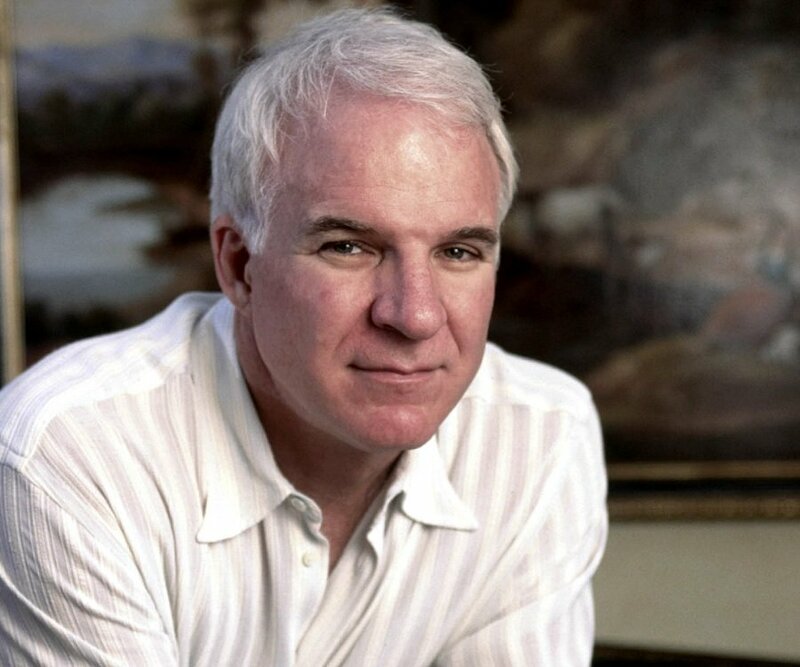 Still, Steve Martin’s IQ has been estimated to be a whopping 142 and we’re sure Mensa would welcome him if he ever wanted to join! After high school Steve enrolled at California State University studying Philosophy before transferring to UCLA. He dropped out when he was 21 to focus on his budding stand-up career. Today, Steve’s comedy and acting career are well known, but he’s also a big supporter of bluegrass music, winning a Grammy in 2009 for Best Bluegrass Album. Steve has been a dedicated art collector since the late 60s, with his collection being displayed at the Bellagio Gallery in 2001 including works from Picasso, David Hockney, and Edward Hopper.